As speciality coffee drinkers, many of us place at least a small part of the attraction in a desire for ethical coffee. We feel good that speciality coffee rewards farmers and producers at a greater level than commodity coffee and, although we might not be aware of all the complications, usually choose speciality or direct trade over the more minimal value of Fair Trade. But what of the environmental impact of coffee production? What do we know? James Hoffman’s Longberry magazine recently devoted a whole issue to the problem of waste in coffee that raises a host of questions. 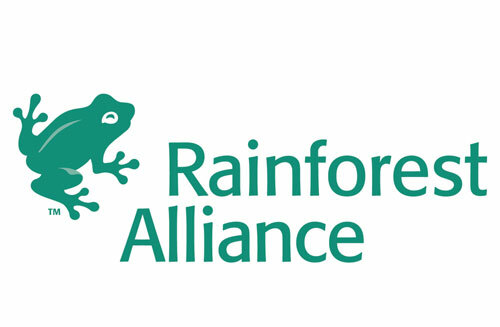 Of course only the largest estates can afford certification such as Rainforest Alliance to demonstrate their sustainable practices but there are plenty of large coffee estates. Are they considering environmental impact? Aquiares Estate is one coffee estate who certainly are, indeed they are considered an international leader in environmental sustainability. Aquiares Estate coffee farm is located near the town of the same name east of San Jose in Costa Rica, high on the slopes of the Turrialba Volcano. It is one of the oldest and biggest coffee estates in Costa Rica and has introduced a range of sustainable environmental techniques, maintaining forest and diverse flora and fauna on the estate, and becoming the first coffee estate in Costa Rica to achieve carbon neutral status. Not only that, but Aquiares is widely respected for treating its employers very well and has introduced a programme to grow experimental coffee varieties. Given the reality of climate change and the potential impact on coffee, the importance of developing new varieties to what is a genetically close to a monoculture in the coffee industry has been stressed by Hanna Neuschwander of World Coffee Research among others. New coffee varietals have to deliver productivity, flavour, drought resistance and pest/disease resistance. Aquiares has invested heavily in growing new varieties, including those listed in World Coffee Research’s catalogue of coffee varieties. 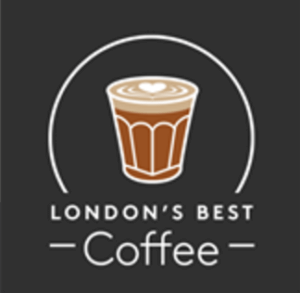 Some of those coffee varieties nurtured and processed at Aquiares have been imported into the UK by Mercanta, London based coffee importers since 1996 and central to the development of London speciality coffee. We tasted three of those coffees with Diego Robelo of Aquiares, head roaster Jamie Treby and Mercanta’s Jamie Marler at an event at Taylor Street Chanvery Lane. The Centroamericano (a hybrid of Rume Sudan and Sarchimor which is resistant to leaf rust) was delicious with notes of pink grapefruit and chocolate. We also tried the peaberry version of this which had more caramel while maintaining the pink grapefruit acidity and introducing notes of melon and a wine-like red grape. The star of a show perhaps was a natural Esperanza (itself a hybrid of Caturra and Ethiopia 531 and resistant to disease, especially fungus) like an elegant pink lemonade with notes of strawberry candy, honey and cascara and a clarity few naturals match. These coffees are available currently fromhttps://www.taylor-st.com/delivered or their cafes. 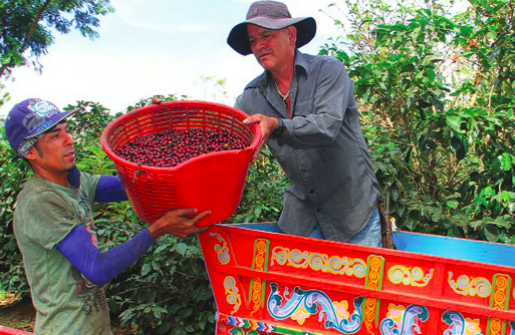 Climpson & Sons also purchased coffee from Aquiares via Mercanta, the Centroamericano which will be released under their Fields label for August. This washed coffee is roasted with a filter brewing process in mind and has been described as having flavour notes green grape, passion fruit and a sweet caramel finish. Head roaster Simon Clark reported that of all the beans they cupped from Costa Rica, “… the beans hailing from the Aquiares Farm stood head and shoulders above the rest for quality, complexity and flavour”. You can drink this coffee at their legendary Broadway Market Café, their roastery – Climpson’s Arch or via their webshop at http://climpsonscoffee.com/collections/all-products/products/fields-v17-aquiares-costa-rica. Aquiares’ work in collaboration with World Coffee Research in growing experimental varieties is forward thinking and valuable and clearly a passion which is evident when talking with Diego Robales, Innovation Manager and son of Alfonso Robelo, president of Aquiares. That passion for quality, to be a caring employer and for innovation in coffee production, also extends to a passion for sustainability and environmental stewardship. Aquiares emphasise the importance of soil health; organic matter is composted to feed soil microbes and increase organic nutrients. Forty species of shade trees (including 50,000 planted by the estate) cool the ground and allow for slow ripening of the coffee cherries which increases sweetness. Twenty percent of the Aquiares estate consists of protected forest and coffee planting is interspersed springs, streams and rivers, which are protected with buffer zones following the standards of Rainforest Alliance certification. This network of corridors, together with the protected forest and diverse shade trees, provides a healthy environment for the local flora and fauna. 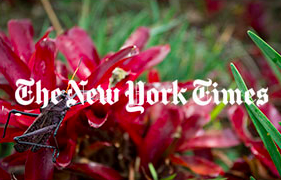 A recent New York Times article, about scientists visiting Aquiares to study, noted the increase in biodiversity as a result of the extensive variety of shade trees and the provision of buffer zones. Dozens of bird species, as well as armadillos, squirrels, coyotes, ocelots, sloths, dozens of bird species live on the estate. To obtain Rainforest Certification, which Aquiares first earned in 2003, standards have to be met in terms of forest protection and treatment of workers – all employees must have access to education and medical care, be paid fairly and be properly equipped. 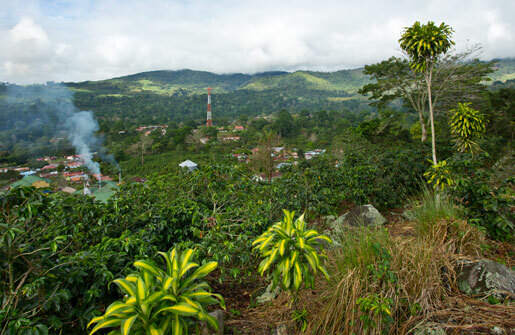 In addition to this, in 2012 Aquiares have become the first coffee farm in Costa Rica to earn carbon neutral certification, fulfilling the requirements of the Rainforest Alliance Climate Module. This requires a large amount of effort on the part of the farm, documenting all energy usage, greenhouse gas emissions and more, and documenting that Aquiares do not contribute to climate change. Surely this is of vital importance as we face a future where most of the coffee we love will soon be threatened by climate change? The community of Aquiares is home to 1,800 people. In 1992 the farm started a project to enable people to own their own houses. Workers were given a bonuses depending on years of service, lot prices subsidized, and assistance given to apply for the government aid. Today, 96% of the Aquiares employees own their own houses, encouraging feelings of security and allowing the community to flourish. The residents’ loyalty to Aquiares gives them a sense of pride in the product which impacts on quality. 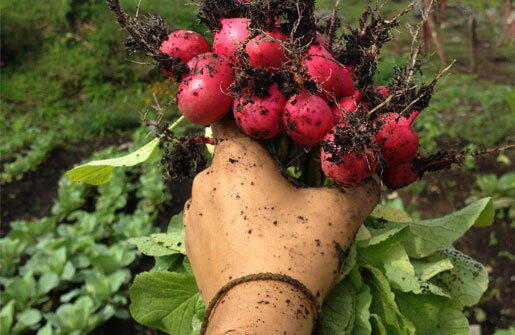 Seasonally, pickers come from the community of Aquiares, nearby towns, and even the neighboring country of Nicaragua. The estate ensures they have a safe work environment and a comfortable place to live, providing on-site housing for workers travelling in and a children’s day-care. Aquiares Estate also sponsors doctors’ visits for pickers and their families twice a week. All in all, there are a lot of good reasons to get hold of some coffee from Aquiares Estate, not least of course the taste. Visit one of the Taylor St Baristas locations or any of the cafes serving Climpson & Sons coffee or get onto the coffee roasters websites at Taylor St Baristasor Climpson & Sons while it lasts.